A hypnosis training of outstanding distinction with my mentor and friend Michael Perez and this is in Newcastle this coming November! The Neuron Code : New foundation in hypnosis : structure and practice. An exceptional and extraordinary event in hypnosis. November 15th-20th. Michael has used insights from his own work and the work of some of the greatest hypnotists of our time along with the revolution in cognitive neuropsychology to deconstruct ‘hypnosis’. By breaking down so many of the myths and so much of the antiquated thinking about hypnosis, Michael presents a new way of looking at things that is geared towards creating more powerful interventions more consistently and with more people than any other approach to hypnosis. You’ll learn to understand the differences between different kinds of ‘inductions’ and you’ll learn about the different kinds of altered states, the spectrum we call ‘trance’, including which processes produce which states and which states are correlated with which special abilities. You’ll also learn the fundamentals of extraordinary calibration to read people’s neurological state at a glance and you’ll learn the basic framework which will allow you to create powerful improvisational interventions with any client for any situation. Translation: You’ll become a hypnotic force of nature, an amazing improvisational facilitator and you’ll understand just enough of the neuroscience-y bits to make you understand and do things in a way that will change both your life and the lives of people around you. 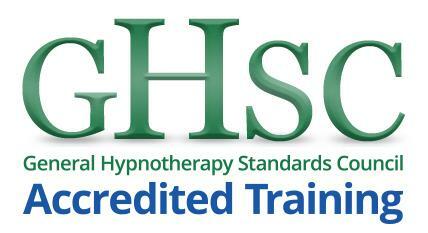 The training is 6 days, November 15th-20th, Newcastle upon Tyne. £749. Seating is strictly limited. Special pricing and bonuses are available for a limited time if you book early. You can message me immediately for details. There are some early-bird discounts for the limited places for this training … so if this is you … contact me immediately as special prices expire in just a few days. One the real developers in change work James Tripp is coming to Newcastle in November to offer his latest work in an excellent two day training in ‘Transformational Conversation’. In James’ latest video offering he discusses the ART of transformation. This is at the fore front of current and powerful practical changer work. Anyone that is seriously interested in what it takes to really transform, from a centre of mutual consent, by way of change work, you need to check James’ latest video. In around 2007 I was planning on delivering a group training for a local interest group in Newcastle. What was planned to be a technical offering to a group of NLPEMI turned out to be a 1:1 demonstration of EMI ( eye movement integration technique ) where the group of about 40 people watched a 1:1 session. Inside of this group, one wonderfully brave person chose to be a demonstration subject to show the first moves. This turned out to be a full demonstration of a process where this brave soul allowed me to facilitate moving through aspects of trauma ( known to many others in the group ) as a full session of an hour and 25 minutes. They moved through past trauma and were, on the evening completely unable to re-access the original problem states. They could re-access the memory imprints yet without the negative emotion. It was, in my opinion, a fantastic demonstration of the process, by way of inability to access the problem states. And in some perspective it was a disaster in that time constraints did not allow for the group to explore the techniques. Following on from this, one person, approached me, and demanded, before they use this, the research that this process or technique had statistical evidential back up. I responded ( I think reasonably stated ) you have just seen it. They seemed to disregard everything they has just witnessed, in favour of some statistics. I can’t speak for James, I can speak for myself in that, I am interested in what works, what and how I do what I do has nothing to do with statistics. It has everything to do with how I do what I do. You are not a statistic. If this is you then this training really is not for you. Stop reading and enjoy your time in other ways. If you are interested in cutting edge, affective and what I feel will be demonstrable in context, then book you place now. Here is James’ latest offering for your consideration. James Tripp is coming to Newcastle to deliver his latest workshop which is called Transformational Conversation. James is one of the few genuine innovators in the field of therapy, coaching and influence. This is a fantastic opportunity to learn seriously powerful and effective principles and methods of assisting your clients ( and you ) make fundamentally honest and generative change. This means stepping into your power. Watch this recent interview with James to get a sense of the inherent value as well what this workshop will uncover. Use the link to book you place for this transformative training with a real master change worker. 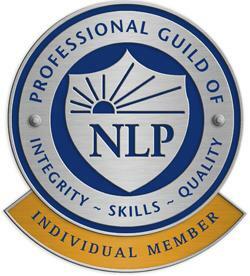 This weekend workshop is excellent value at £175 ( London Price £399 ) – This is included as part of the September 2013 NLP Master Practitioner training. So many research papers and books tell us of the positive effects of laughter. Apparently 20 minutes of laughter is equivalent to 20 minutes of physical activity, likened to an inner form of jogging. It may well act as a buffer against day to day stressful perceptions. However, laughter is not easy to come by in our mixed up fear driven world. Consequently Thought Provoking Dialogue sets out to challenge our sometimes negative mind-sets and self-limiting beliefs. These workshops are all about therapeutic uses of humour and a Thought Provoking approach to real change. An absolute must for therapists, coaches, trainers and all people helpers! Phil Jeremiah was one of Frank Farrelly’s ( Provocative Therapy ) earliest and brightest students. Phil has been providing training in the UK and Europe for over 20 years to a wide range of professionals and organisations and has worked in the field of personal development for even longer. He was a qualified Senior Mental Health Social Worker, approved under the Mental Health Act 1983. Phil has extensive training and a wealth of experience in the fields of adult psychiatry, psychotherapy, counselling, hypnosis, brief therapy, NLP, EFT, EMDR, Life coaching and clinical risk assessment in mental health. Hypnotherapy training courses are fully accredited by the General Hypnotherapy Register and taught by Newcastle and North E ast Clinical Hypnotherapist Nigel Hetherington over a five month or ten month period. Nigel has a busy clinical practice and brings his years of clinical experience straight to the training room to share what really works and why. This Clinical Hypnotherapy training is perfect for people who want to become clinical therapists with skills that actually work and not just reading scripts to people. This hypnosis and hypnotherapy training in Newcastle upon Tyne is also ideal for Life Coaches who want to really expand their repertoire and have a great deal of powerful additional tools and techniques. Learning and mastering hypnotic language patterns as well as generative metaphor is a huge benefit for anyone in the business of ethical communication and influencing with integrity. Click Here for full details of Clinical Hypnotherapy Diploma Training August 2010. The next Newcastle Brief Therapy Association 12th Annual Study Day is on Friday April 30th and is open to All. This day, like change camp is a bargain at just £10 for members and £15 for non-members. With a variety of well know presenters, this is another great opportunity to learn new process and techniques relating to Brief Therapeutic interventions as well as to connect with other local therapists. Me, Nigel Hetherington, Newcastle Hypnosis Course Facilitator and Master Hypnotist will be presenting “Physiological Solution Focused Therapy – Unsticking Problem States: ” In one of the four morning sessions ( mine is in the main lecture theatre ). This is an experiential learning and participative session. Synopsis – By understanding just a little about the connection between the brain, the nervous system and problem to solution states you literally can move people from problems to solutions. The Newcastle Brief Therapy Association is run by my good friend John Wheeler. This is something that will be of interest to Counsellors, NLP’s, Therapists, Solution Focused therapists, Hypnotherapists and Health Care professionals as well as anyone with an interest in personal growth and self development. The first Change Camp of 2009 was a huge and overwhelming success in both bringing like minded people together to explore their mutual interests and even more importantly creating a burgeoning community of really amazing people. And it is happening and open again for even more great things this coming October 24th. This is the brain child of my excellent friend and colleague Andy Hunt and is the second un-conference in Newcastle upon Tyne that will attract people who want to change the(ir) world. Want to know more? You should! Download and read the Change Camp manifesto here and get ready for change at the second North East Change Camp event that will be a breath of fresh air for all change professionals. One of the simplest and certainly most effective hypnotic inductions is the Elman Induction. It is a rapid, permissive and direct induction. I looked on the internet to see if this was easily available for people to study and found very little unless you signed up for it. 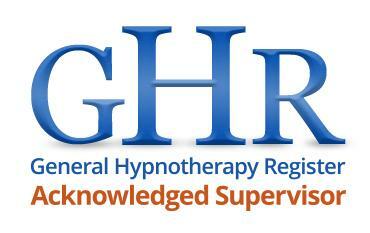 I want to make hypnosis much more available than what it is on-line. This exert is produced with permission from one of my Clinical Hypnosis Weekend courses that are run in Newcastle upon Tyne. This video give the basic demonstration. There are a lot of subtleties that go hand in hand with the process that are not explicated. Learning really should be fun! Enjoy. Generative Change – A Real Goal for Therapists? 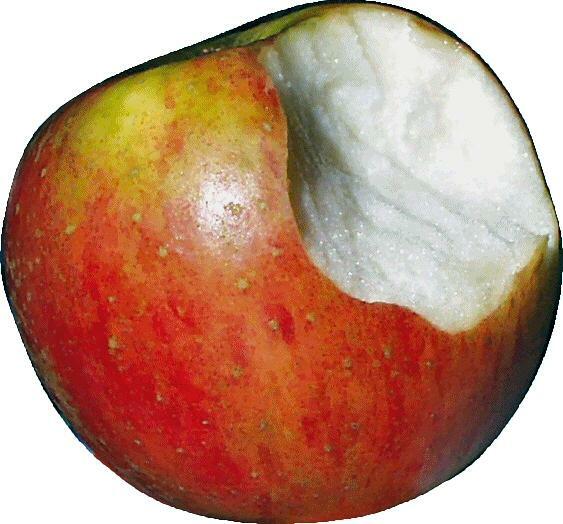 Posted on November 8, 2008 | Comments Off on Generative Change – A Real Goal for Therapists? The words ‘Generative Change’ are often written and spoken by a great many therapists. These words have become popularised but what do they actually mean and even more importantly how does any therapist go about engendering this ‘Generative Change’ with and for their clients? Let me first expose what this is NOT. Comments Off on Generative Change – A Real Goal for Therapists?